“LAS VEGAS – Have you ever cleaned up a stain only to have it reappear the next day? If your answer is “yes,” then you didn’t remove it all the way. But don’t feel bad, this happens to millions of homeowners each year too; simply because they don’t have the knowledge of a professional carpet cleaner. The Institute of Inspection, Cleaning and Restoration Certification (IICRC) has identified eight common carpet cleaning mistakes to help you extend the life of your carpet. Vigorously scrubbing a carpet stain. Vigorously scrubbing your carpet will damage carpet fibers. 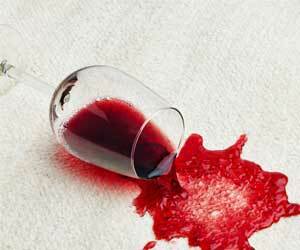 Not only is vigorous scrubbing an ineffective way to get stains out of carpet, but doing so will most likely push the stain deeper into the carpet. Scrubbing also damages the carpet fibers by untwisting them and causing them to fray. It is much safer to use a blotting action. Not acting fast enough. The longer you wait to remove a stain, the tougher it will be to remove. By waiting for a spill to dry, you are allowing the liquid to soak into the carpet fibers and be absorbed into the carpet padding. This can lead to wicking when you attempt to remove the spot, odor and sometimes even mold growth. Using the wrong cleaning product. Using the incorrect cleaning solution on your carpet can lead to permanent damage and even discoloration. Make sure to do your research before purchasing and using a cleaning solution on your carpet, which includes following guidelines from the manufacturer and reading the label on every product. Not testing a new cleaning solution. When using a new cleaning solution for the first time, you should always prepare a test patch to assess how the chemical will react to your carpet. Depending on the solution’s strength, it’s better to try it out first on a hidden area to make sure it won’t bleach the color or damage the carpet’s fibers. Using a deodorizing powder incorrectly. Even though deodorizing powders make your carpet smell nice, they are not a substitution for cleaning. Some deodorizing powders can even lead to a gunky build-up over time if your vacuum isn’t strong enough to remove it thoroughly. Using too much chemical to clean. Contrary to the belief “more is better,” more carpet cleaning solution does not necessarily contribute to cleaner carpet. Oversaturating your carpet with cleaning solution can lead to carpet damage and a buildup of dirt-attracting residue. Never having your carpet professionally cleaned. Just like professional dental visits help to prevent plaque build-up, professional carpet cleanings are a necessary part of extending the life of your carpets. The majority of carpet manufacturers recommend that carpets are cleaned every 12 – 18 months by an IICRC certified technician to maintain the warranty. Professional carpet cleaning will not only prolong the life of your carpets, it will help to promote a cleaner indoor environment. Renting faulty carpet cleaning equipment. Even if you have the best of intentions when renting carpet cleaning equipment, some rental machines tend to do more harm than good. Frequently damaged or not serviced correctly, rental machines can damage your carpets and leave behind excess cleaning solution, resulting in rapid resoiling and sometimes even mold damage. When hiring a carpet cleaning professional in your area, make sure that the technician is certified in the latest carpet cleaning Standards, including the newly-revised ANSI/IICRC S100 Standard for Professional Cleaning of Textile Floorcovering. Recently released, this Standard identifies the best practices for professionals when performing commercial and residential floor covering maintenance and cleaning. For more information on carpet cleaning or how to locate a certified professional in your area, visit the IICRC website at http://www.iicrc.org .